It’s the same image released in the next issue preview of Young Ace #11. And it kinda makes sense since this is the volume where they go to the boys’ school and they are wearing the school uniforms on the cover. I don’t know about you all but I still prefer the 3 original covers. This will be released on November 4. Also, dimichan has some pictures of the Kobato. artbook up here in her Picasa. Pics include the full epilogue and a few colored illustrations. The convention Rio Comicon starts today in Rio de Janeiro, Brazil, where the exhibition CLAMP – As Rainhas do Mangá (CLAMP – The Queens of Manga) will take place until Sunday. This is the same exhibition that was originally held in Paris in 2009. Tickets cost R$ 20,00 for each day at the event’s entrance (students pay half price). Check their official website for more info. The Kobato. manga has been licensed in Brazil by JBC. The manga will be published every 3 months starting in October. The price will be R$ 10,90 for a full tankoubon format (unlike Tsubasa and XXXHOLiC), but no color pages. 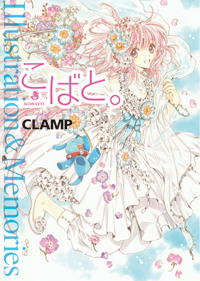 This is the 10th CLAMP title to be published in Brazil, and they remain being the only manga authors with that many titles licensed in the country. 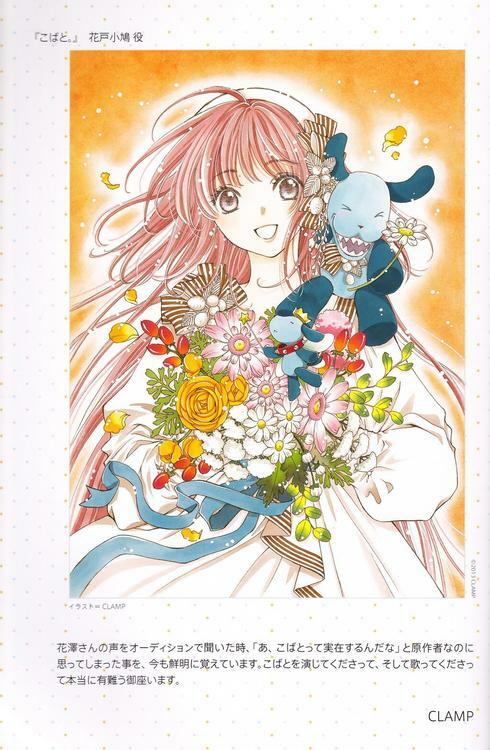 Also, the Card Captor Sakura manga, which was the first CLAMP title published in Brazil, will be re-released by JBC in a special edition still this year. The new release will be in full tankoubon format (unlike the original edition) and will have color pages. Release date and price are still undecided. It was announced in this year’s New York Anime Fest that the new Code Geass project, Code Geass GAIDEN: Boukoku no Akito, will be released next year. 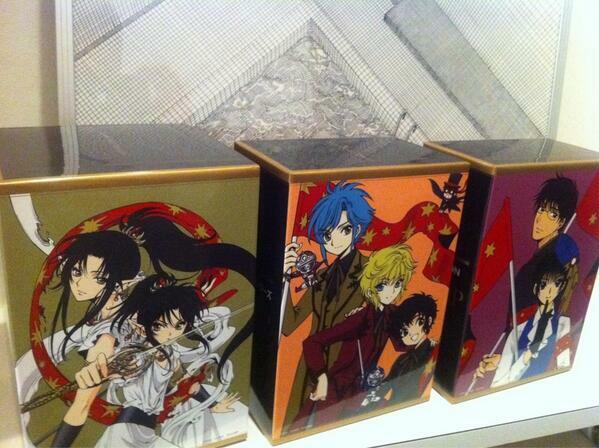 CLAMP is in charge of the original character concept for this project as well. The Code Geass and R2 seasons will be re-released in a new DVD Box early next year and an exclusive promotional video of Code Geass GAIDEN: Boukoku no Akito will come with it. 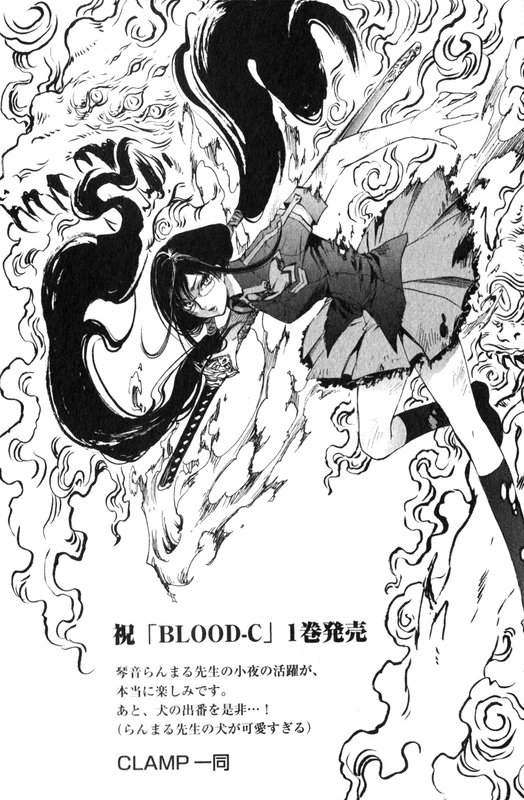 The official website of BLOOD-C has the 2nd DVD and Blu-Ray cover, which was drawn by CLAMP. It will be released on October 26. Already posted this over at twitter but in case anyone doesn’t know yet, the Kobato. artbook release date has been postponed to October 19. 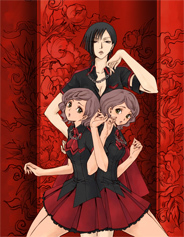 09/04 – Jump SQ #10 – Chapter 7 – Last chapter of tankoubon 2 (on sale). 10/04 – Jump SQ #11 – Chapter 8 – Beginning of tankoubon 3. 11/04 – Jump SQ #12 – Chapter 9 – Color page(s), GATE 7 will feature the front cover. GATE 7 #2 is coming out on November 4. The BLOOD-C TV Anime ended its main broadcast on TBS channel with 12 episodes. The movie will be released on June 6, 2012 with the same staff and cast . I really liked the final episode, in fact the final 2 episodes were good and a lot better than the rest. I wish that instead of dragging the plot for 10 whole episodes they could have worked better in building tension for the big revelations, in other words, I think the series’ composition was flawed (and CLAMP’s Ohkawa was in charge of that). The episodes were too repetitive, always following the same formula. I’m glad the mood changed in the final episode, I hope the movie will follow the same atmosphere. The animation was overall very poor, characters were too shallow and creatures too bizarre. I’ll give a 3/10 rate for this since I wasn’t hooked by most of it. 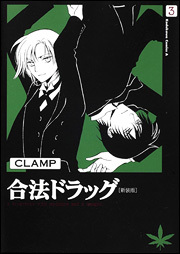 Here is the cover for The Witch’s Mansion and the Magic Summit, CLAMP drew the cover and inside illustrations. The book is coming out on October 9. You can play a puzzle with the cover illustration here. Sorry I’m a bit late, I’ve been traveling around for the past weeks (see location at the end of the post =P) and I have had very little online time. But here are the most important news that have appeared in the past few weeks. So pretty, I loved it! 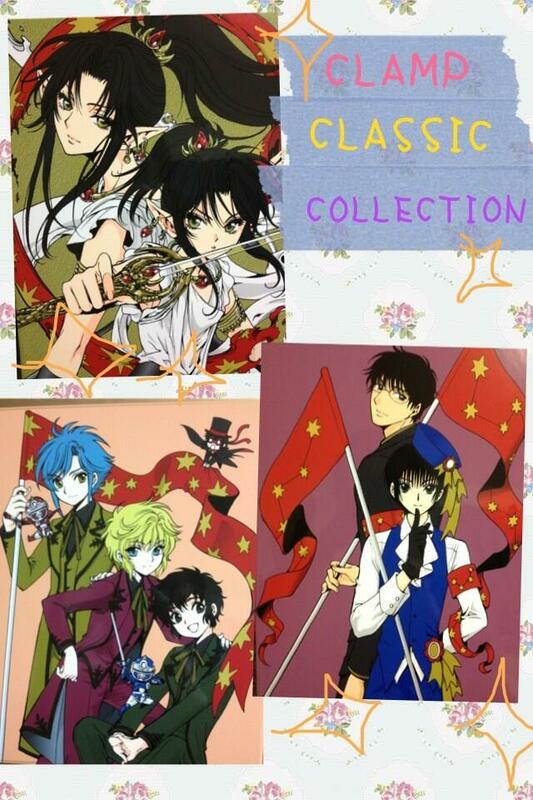 The artbook will have a short story drawn by CLAMP and an interview with them. It’ll be released on September 26. The Kobato. TV Anime series will be released in Blu-Ray format sometime soon. The information comes from the series’ official website (http://www.kobato.tv). More details will be announced soon. 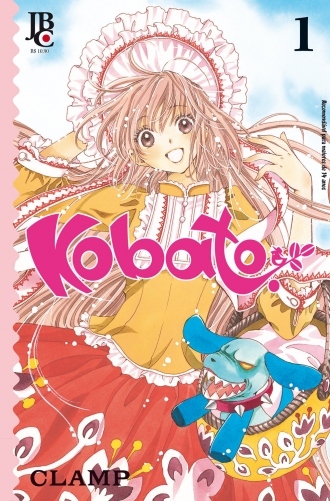 After its first week of sales, the final volume of Kobato. debuted in the 16th position in Oricon’s ranking. That’s a very good position considering that it’s only covering 2 days of sales (since it was released on the 26th and the ranking covers up to the 28th). This is the first time that a Kobato. volume appears in Oricon’s ranking after volume 2. It is also the highest position reached by a Kobato. volume. Also according to Oricon, Kobato. #6 sold 43.331 copies in its first week. In comparison, Kobato. #2 sold 32.351 copies in its first week. Hopefully we will see Kobato. again in next week’s ranking, specially since there is a campaign related to that volume. 08/04 – Jump SQ #09 – Chapter 6 (on sale). 09/04 – Jump SQ #10 – Chapter 7 – Last chapter of tankoubon 2. No new additions for GATE 7. The covers for the new editions of Gouhou Drug #1 and #2 were announced! Ahhh, so the original design was preserved, I’m so glad! They are even wearing the same outfits, it’s like the same “photoshoot”, but with different poses XD But maaaan, do they look different! I don’t like this new style at all, their trace looks too simple! =( I really hope Nekoi improves her drawing with time. The novel is written by Junichi Fujusaku, who is also one of the writers for the TV Series along with CLAMP’s Nanase Ohkawa. It will be released by Kadokawa Shoten on October 4. Website ANN interviewed the director Tsutomu Mizushima and screenwriter Junichi Fujusaku of the BLOOD-C TV Series. 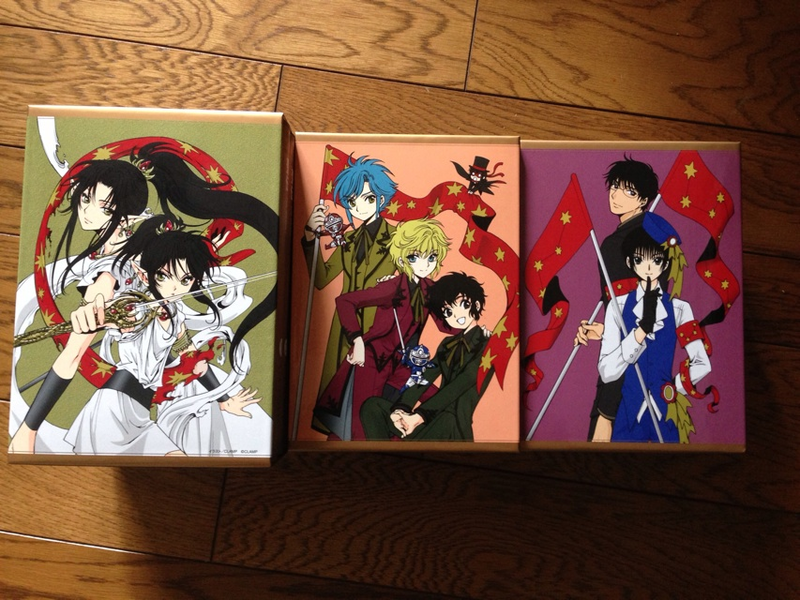 It’s a very interesting reading since they talk about CLAMP’s involvement on the project. You can read it here. Suga Shikao has been added to the festival’s line up as a special guest! He will make a XXXHOLiC special live performance. – Suga Shikao XXXHOLiC special live performance. – Duet between Sakura Tange and Junko Iwao (Card Captor Sakura). – Card Captor Sakura medley featuring 5 songs. – Holitsuba skit (script by CLAMP). 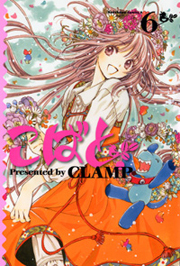 – Maaya Sakamoto will be the narrator for the animation based on the original manga drawn by ClAMP. – Live performances of the seiyuus are scheduled during the Holitsuba skit as well. 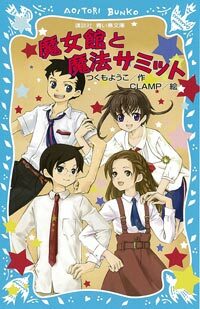 A free event named CLAMP Campus Festival will be held at the back of where CLAMP FESTIVAL will be held. In this event, cosplay contests and sales of original goods will take place. There will be a CLAMP Cafe, where visitors can have Mokona-shaped candies while they check a collection of CLAMP’s art reproductions. 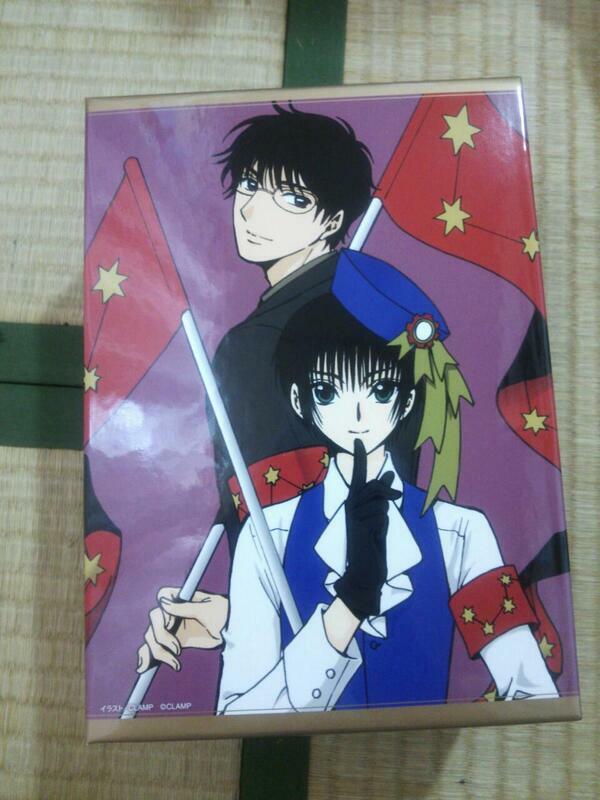 An official Guide Book about the Fetsival will be sold at the event and the cover art will be drawn by CLAMP. The Japanese video streaming website Nico Nico will cover the event from 10 AM until 10 PM (not sure if they will cover just the CLAMP Campus Festival or the entire CLAMP FESTIVAL event). And more, there will be merchandise booths for Card Captor Sakura, GATE 7, Kobato., Gouhou Drug and BLOOD-C.
09/04 – Jump SQ #10 – Chapter 7 – Color page(s). It will be released on August 26. To celebrate the series’ conclusion, there is going to be a large feature in the upcoming Newtype issue (out 08/10). 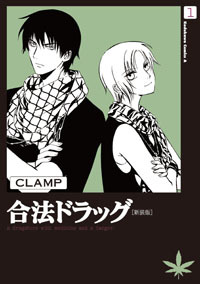 Also, information about a new CLAMP series will be announced in the same issue! A campaign will be followed as well (but I don’t know if the campaign will be related to Kobato. or the new series). So excited about this new series! Could be the revival of an old series as well (it’s alright to hope!). I don’t think it’ll be running in Newtype, though. They will most likely make the announcement to hook all Kobato. readers into this new series. I think it’ll run in a different Kadokawa magazine. 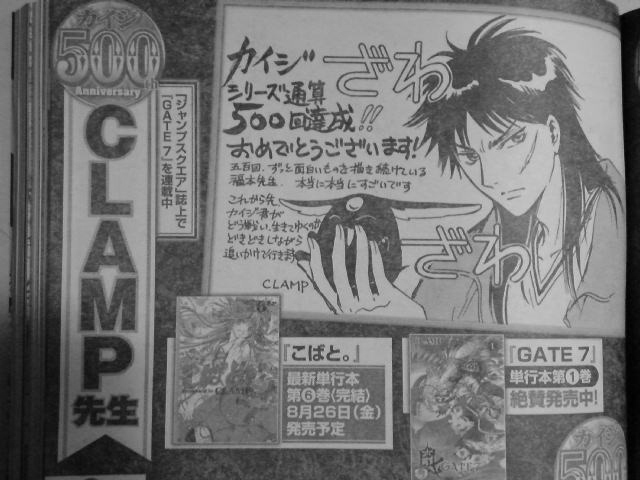 Anyway, it was about time for CLAMP to work on another manga apart from GATE 7! Looking very much forward to thissss! 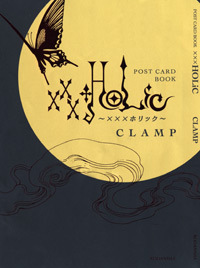 This postcard book will have illustrations from the covers and title pages of all 19 volumes of XXXHOLiC. It will be released on September 6. 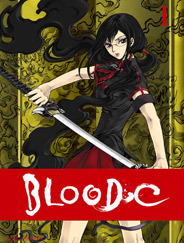 The official BLOOD-C website has updated with the cover of the limited edition of the 1st DVD/Blu-ray. The jacket features a new illustration drawn by CLAMP! It will be released on September 28. 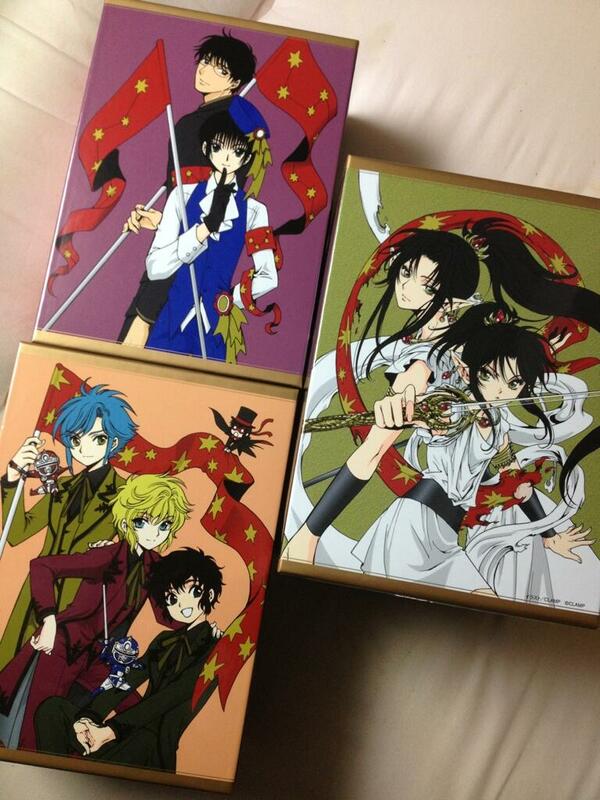 The limited first editions of all 6 DVDs/Blu-rays will have jackets illustrated by CLAMP. 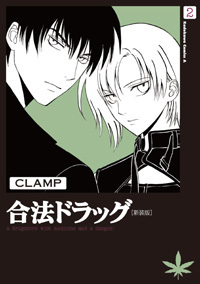 Check out the release calendar for them at the CLAMP Widget at the top of my livejournal. Thanks syaoranmew for letting me know about this! 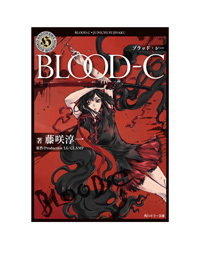 The upcoming Newtype issue (out 08/10) will be a BLOOD-C special issue. Idol Nakagawa Shouko (aka Shouko-tan) has been added to the festival’s line up as a special guest. Several online shops such as AmiAmi are listing a possible Kobato. artbook entitled Kobato. Illustration & Memories. The artbook would be released in late September or early October and would cost 1365 yens. Could it be an artbook for Kobato.? It barely has enough color illustrations to fill one, unless it’ll have extra manga chapters, similar to the Wish artbook? Maybe that’s why it has “& Memories” in its title, as suggested by lovelessinma (thank you for the info, btw!). I hope this is true, as I wasn’t expecting an artbook for Kobato. UPDATE: The artbook is confirmed via several japanese online shops. It will have a CLAMP interview and a short story.